FALL FROM THE TOP: This table shows how Sirocco has fared against other well-rating micronations through the four surveys it has partaken in. Alston, NCD, Jul 16 – Siroccan Premier Daniel Anderson has criticised joke voters after the latest MicroWiki Influence Survey saw Sirocco plunge eight points in a matter of days. Sirocco, which had previously been ranked 14th, 12th and 10th in the second, third and fourth surveys respectively, dropped an astounding eight points between the release of the midway and final tables for the fifth survey. This shock result has been just one of the number of peculiar drops and rises in the 5th MicroWiki Influence Survey, which recently dropped its “OAM” name to introduce more nations to the survey. Tiana, which rose from 12 in the fourth survey to 4 in the fifth. A1, which dropped from 7 in the fourth survey to 14 in the fifth. Yabloko, which dropped from 2 in the fourth survey to 7 in the fifth. 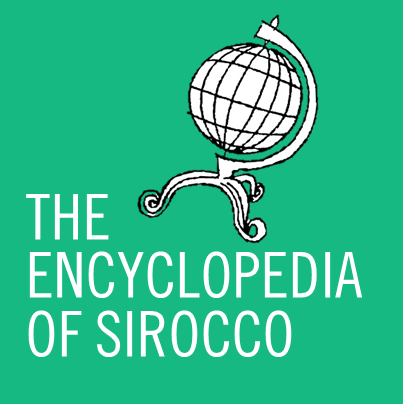 One of the main talking points, however, is how Sirocco dropped from 10, its position in both the fourth survey and the fifth survey’s midway table, to 18, falling below nations such as Sandus, Ultamiya and Senya. Influence Survey manager Tom Turner apologised for the catastrophic survey. Premier Anderson has commented that Sirocco may join with Turner to produce a sixth survey, however with limitations on who is eligible to vote. It is not yet known at this stage what the views of the community are towards a ‘Survey 6’. CORRECTION: The Times mistakenly stated in the table that Egtavia came first in the fourth survey. This is incorrect as it actually came third. We apologise for this error. There are reasons for the changes in position for A1, Yabloko and Tiana. A1 has lost influence through the whole OAM thing, Yabloko has sort of “burnt out” its huge external affairs efforts, and Tiana is fast becoming a very respectable and well-known nation. You would not be calling this survey a “disaster” if you had not fallen eight points. I agree that it wasn’t fair, but these things happen. King Quentin I of Wyvern here, interrupting a visit to Germany to respond to this article. Perhaps I will be around some more soon. As the Austenasian Government said, there are some arguments to explain how some nations have risen drastically while other nations have fallen drastically. A1, for example, is hardly active in the MicroWiki community anymore. Adding to the perceived little internal activity that was an important characteristic of Yabloko, the nation has now drastically reduced its external affairs. Tiana’s growth is somewhat remarkable, though. It seems to be run almost exclusively by Joseph Puglisi, who has also admitted to having hardly anything interesting inside the nation itself. Today, while listening to Dutch radio near the border with Germany, I heard an old politician speak of something called the ‘positive flow’ that seemed to apply to politics – if you’re charismatic and say what people want to hear, they’ll forgive almost anything – in macronational case, changing your political views right after elections, and in micronational case, being relatively inactive. This survey, it seems, is based on trusting people for voting accurately and fairly. And seeing the ridiculous votes some people submitted – one of them basing his vote on edit counts and forum posts and another simply shuffling nations and putting his own on top, causing a silly trend – we simply can’t.